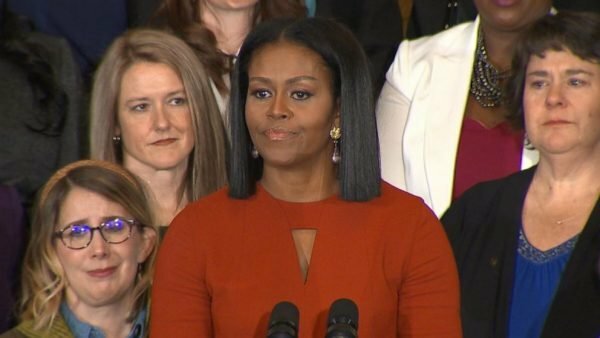 Outgoing First Lady of the United States, Michelle Obama, on Friday January 6, has made an emotional final public speech.Watch the veideo below.. The bittersweet speech, which honored school counselors from across the United States, had the elegant wife of President Obama fighting back tears as she struggled to contain her sadness and the same time joy, having made it to the end. ‘Lead by example with hope, never fear,’ Mrs. Obama said. ‘And know that I will be with you, rooting for you and working to support you for the rest of my life.’ she said, addressing young people. This entry was posted in Video on January 9, 2017 by admin.